pewdiepie @pewdiepie if im pulling 2mil views per video with 50mil subs id rather restart and get rid of inactive accounts and piss people off in the process thx 3:30 AM - 3 Dec 2016 6,041 6,041 Retweets 51,142 51,142 likes Follow pewdiepie @pewdiepie YouTube NG+ 7:28 PM - 8 Dec 2016 2,416 2,416 Retweets 21,565 21,565 likes PewDiePie made some excellent points about YouTube in the drum up to this absurd troll. We covered that in an earlier story, but here’s a bit of the text. He’s frustrated with YouTube’s apparent inability to effectively communicate changes. He’s frustrated that the site has essentially ruined subscriptions by making subscribers sign up for notifications. He’s also upset that his videos are seeing supremely low view counts, at least when compared to previous success. Instead of letting viewers see the channels they’re subscribed to, YouTube pushes an absurd trending section and collection of suggested videos that are rarely relevant. It’s absolutely frustrating. This whole thing is about more than PewDiePie. It’s about the future of YouTube and how they handle content creators. The platform has come under fire over the last year from users and content makers, and a lot of that public ire has been deserved. This PewDiePie move is simply the biggest thing to happen. It’s also a joke. Whatever the case may be, this gave me a good laugh. Kudos, PewDiePie. At the time of drafting this post, PewDiePie sits at 50,099,847 subscribers. 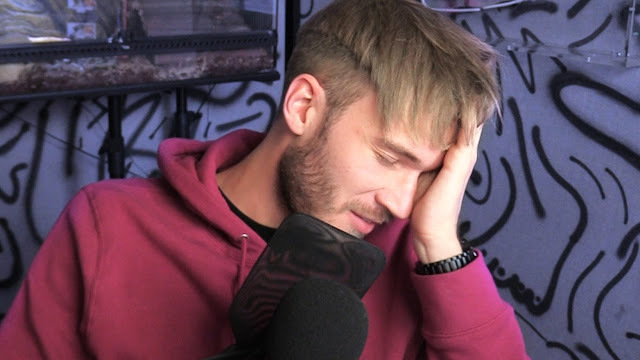 He promised to delete his YouTube channel when he crossed 50 million. That happened, and he posted this video. So, did PewDiePie delete his channel? No. Well. Not really. PewDiePie’s channel is still up. But, Felix Arvid Ulf Kjellberg’s otherchannel known as JackSepticeye2 has been deleted. Promise kept? I don’t know. I don’t really care, either. It’s a joke a lot of folks on YouTube and Twitter have been calling all along, and I think it’s fantastic. PewDiePie made some excellent points about YouTube in the drum up to this absurd troll. We covered that in an earlier story, but here’s a bit of the text. He’s frustrated with YouTube’s apparent inability to effectively communicate changes. He’s frustrated that the site has essentially ruined subscriptions by making subscribers sign up for notifications. He’s also upset that his videos are seeing supremely low view counts, at least when compared to previous success. Instead of letting viewers see the channels they’re subscribed to, YouTube pushes an absurd trending section and collection of suggested videos that are rarely relevant. It’s absolutely frustrating. This whole thing is about more than PewDiePie. It’s about the future of YouTube and how they handle content creators. The platform has come under fire over the last year from users and content makers, and a lot of that public ire has been deserved. This PewDiePie move is simply the biggest thing to happen. It’s also a joke. Whatever the case may be, this gave me a good laugh. Kudos, PewDiePie.